We showcase the best of our Energy Efficient Product Ranges in our Energy Showrooms in Tallaght, Dublin. Product ranges on display include the ATC range of Energy Efficient Hand Dryers, Sun Ray Radiators, Instant Water Boilers, Water Heaters and Over Door Air Curtains. Our enery showroom is fully equipped with working models which enables us to provide practical & informative demonstrations on our wide range of products which provide energy efficient alternatives to currently installed products in homes, offices & commercial premises, factories and shops. 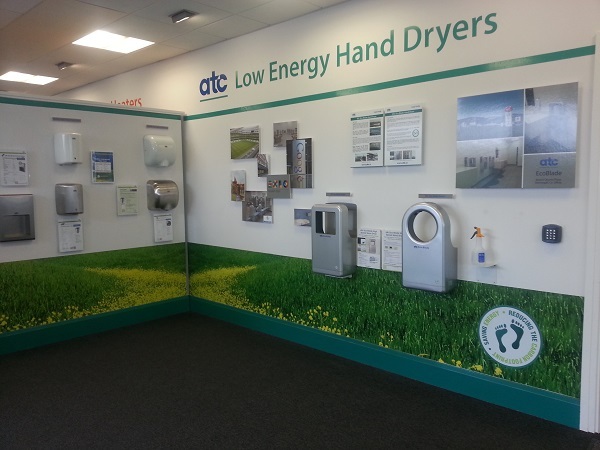 Alternatively visit us at ATC House and see our energy efficient products in action!